How did you learn to manage your money? Was it through your parents? A program or teacher in school? Or maybe you’re still figuring it out as you go? Community Financial believes that financial literacy and money management are important life skills that all children need to know. That’s why our Student-Run Credit Union program was created back in 1990 to help make that happen. Our program grew even stronger this year with the addition of three new school partners: Isbister Elementary in Plymouth, Kennedy Elementary in Livonia, and Atlanta Community Schools in northern Michigan. The credit union now operates 45 student-run credit unions, impacting more than 18,000 elementary, middle, and high school students. Throughout the year, our Education Partnership Coordinators give presentations and help educate students on a full range of financial topics including: the importance of saving money, managing a budget, and general financial responsibility. We have more than 2,000 youth members here at Community Financial, and that number grows each year. This year, not only did our partnerships grow, but we added two new team members to help support the growth of the Student-Run Credit Union program. Jeremy Cybulski, our new Senior Education Partnership Coordinator, has more than 16 years of credit union experience in youth financial education. A life-long member of the credit union movement, Jeremy is dedicated to instilling financial values in today's youth and making them smarter savers, and savvy consumers. The second addition to our Education Partnership Coordinator team is Kristen La Forest. As a former substitute teacher, Kristen’s experience working with children allows her to recognize the tools necessary for students to better understand financial concepts. We look forward to another successful year serving our school partners. To learn more about the Student-Run Credit Union program visit cfcu.org/SCU. Make Your Holiday Shopping More Rewarding! Using a credit card to help with your holiday purchases? With a Community Financial Platinum Visa® you’ll be rewarded with 2X the rewards just for buying what you need, or want, this holiday season! Points2U rewards are easy to redeem, with redemptions starting as low as 3,500 points for gift cards. Simply visit www.points2u.com to register and view your account. These points can be redeemed online for: We'll help get you started on a rewarding holiday season. Earning rewards is great, but during the hustle and bustle of the holiday season it’s nice to have a trusted relationship with your credit card provider. If you ever have concerns regarding charges or questions on your statement simply call or visit your local Community Financial branch. Don’t have a Community Financial Platinum VISA®? Give us a call at (877) 937-2328. We'll help get you started on a rewarding holiday season. *All Community Financial Platinum VISA® credit cards in good standing will receive 2 points for each $1 charged for net purchases made between October 1, 2015 and December 31, 2015. 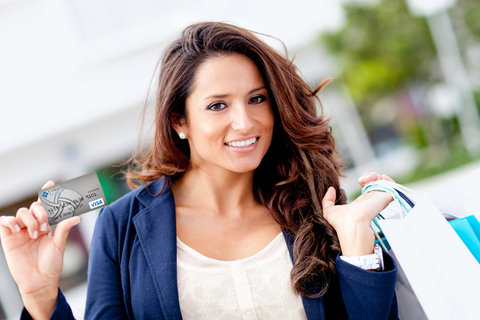 A maximum of 5,000 points can be earned per month on a Visa account during the promotional period. Balance transfers and cash advances do not earn reward points. Visit cfcu.org for complete Visa disclosure information. Copyright 2015 brass Media, Inc. While you may think that spring and summer are the best times for your garden, fall temperatures can actually create the perfect growing atmosphere. Those who seize the opportunity for a second season of growth will find the planning and planting well worthwhile. Here are a few popular garden tips and trends to provide inspiration in achieving the perfect fall garden. Make room in your garden: Get your fall garden ready by removing any plants that aren’t showing signs of growth or improvement. These might be plants that have been burnt due to high temperatures, or vegetables that have been taken over by disease. Remember to also remove any weeds you might find so that they do not steal nutrients from your new and existing crops. Removing all dead plants and weeds will help to create room for your new fall harvest. Pick the right crops and plants: Look forward to peak flavor and performance for many crops that do not prosper in summer heat. Crops like leafy greens, root veggies and peas all thrive in cooler weather. Curious on what to plant? Check out Top Tips for Great Fall Gardens to get an idea of all the varieties available. Pot-in-pot landscaping: This has become a big gardening trend in recent years. It’s the quickest and easiest way to change your seasonal plants. Dig a hole in your garden for your seasonal plants and fill it with an empty plastic container. When you are ready to replace or change your plants fill the empty plastic container with another container grown plant. This is an easy switch that can help you save time with your landscaping. For complete instructions and other clever gardening tips check out Listotic.com. Spread mulch: To help retain moisture for the season and block weed growth, spread the mulch around! Sunsetnews.com suggests that it’s best to lay around 2-3 inches of mulch over your soil and around your plants. During the cooler temperatures of the fall and winter, mulch will work to prevent your soil from freezing rapidly and thawing, which can lead to root damage for your plants. When mulching your garden, you will want to cover anything that needs protection from moisture loss and temperature changes. 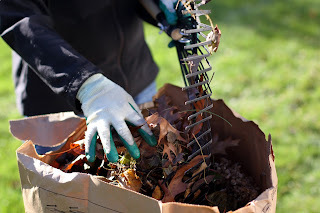 Get into fall cleaning: Once you have fully prepped your garden for the fall and winter months, take time to clean your garden tools and toss old chemical products. Be sure to take note of what materials and products you will need to replace before spring arrives. Clean your metal gardening tools with a light rubbing oil and use a file to sharpen any dull tools. Plant your spring bulbs now: Early fall is the best time to prepare beds for spring planting. Plant your spring bulbs now and watch them bloom beautifully next season. If you’re looking for some garden color inspiration check out HGTV’s article on 2016 Garden Trends. One major trend for 2016 is to plant flowers in bright neon shades or soft blush tones. With careful planning and preparation, your garden can thrive beautifully through the fall and stay protected during the winter months. Have any fall gardening tips of your own? Share them in the comments section below. We’d love to hear them!